Norway’s top spy has said that revelations by whistleblower Edward Snowden have led to ‘very few changes’ to the way spy agencies operate, despite some legal changes in the US under Obama’s administration to make the NSA’s activities more accountable. The outgoing head of the Norwegian Intelligence Service, Kjell Grandhagen, has said that there have been virtually no changes to the way the US’ National Security Agency (NSA) and its partners operate. Moreover, in many countries intelligence budgets have increased after Snowden’s revelations. “My main observation is that the Snowden leaks have resulted in very few fundamental changes to how intelligence services work. Some changes to legislation and duties have taken place, but in the main business continues as before,” he said in a speech to the Oslo Military Society. “The reason it is continuing is that the authorities who are making decisions in different countries want it to continue,” he remarked. Grandhagen said the nature of terrorism in today’s world meant intelligence agencies had to keep track of the phone and internet use of ordinary people. He pointed out that while it was easy to keep an eye on terrorists they already know about, it was practically impossible to find potential terrorists who are completely unknown. The US has made some changes to legislation regulating the activities of the NSA, although it is unclear if this will make any difference to the way the agency operates. It may merely bring existing laws more up the date to placate public opinion and civil liberties groups. The main steps President Obama is making on reform of the NSA are changing the way that bulk metadata of individuals is held, known as section 215. In a speech at the Department of Justice at the beginning of 2014, the president said that the NSA would no longer hold onto this information, but still retain the capabilities it needs to track criminals and terrorists. In the US, the collection of American citizen’s data without individual warrants is governed by either the Foreign Intelligence Surveillance Act if on US soil or Executive Order 12333 if abroad. In the UK, regarded a major partner of the NSA spying activities, there is no such statute legislation regulating the activities of GCHQ or the Secret Intelligence Service (SIS). A recent report by the Intelligence and Security Committee found that “there is confusion and lack of transparency about the way this [surveillance] is authorized in our legal system.” As such the committee advised that a new single act of parliament replace the current legislation. It says the activities of GCHQ must be put on a statutory footing and recommends misuse of GCHQ’s interception capabilities become a criminal offence. However, the ruling Conservative government is pro-surveillance and has said if they are re-elected in May they will legislate to further strengthen the powers of the spy agencies to counter the so-called Islamic State as well as - in a renewed trend - Russia. Even in Germany where public perception of surveillance is much less favorable than in the US or the UK, and where politicians from across the political spectrum and the media have spoken out in anger against the revelations by Snowden that the NSA was spying on Chancellor Merkel’s phone calls, there have been no changes to the law governing German spy agencies. Despite the existence of a strong constitutional and legal framework in Germany for the protection of privacy, Berlin has been involved in large-scale surveillance and the continued exchange of communications data with international partners post Snowden. The BND has the largest hub in Europe, where communications from areas of interest such as Russia and the Middle East are monitored. Canada, which along with the US, UK, Australia and New Zealand, is in the so-called Five Eyes spying partnership, tracks millions of downloads every day, according to reports earlier this year. “It’s really the first time that a story has been reported that involves [CSE], Communications Security Establishment Canada, as the lead agency in a program of pure mass surveillance,” said Glenn Greenwald at the Intercept. 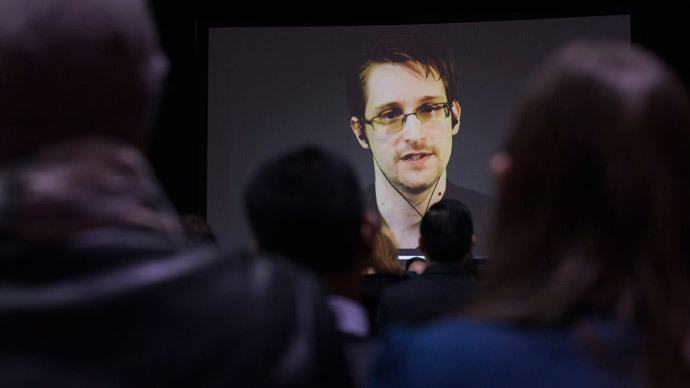 In August 2013, two months after Snowden’s revelations became public, New Zealand passed legislation to implement ‘Speargun’, which involves the covert installation of equipment to collect data from the country’s main undersea cable link.